The 2019 trends are here, and we are so excited to see what the new year has in store! 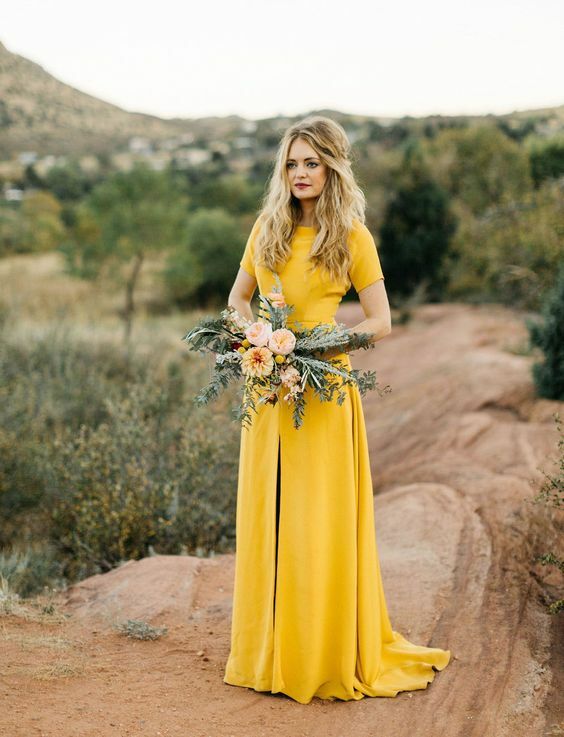 When it comes to bridesmaid dress styles, modern themes are taking over with new and fresh looks that will give your bridal party a total make-over. We’ve seen the return of this trend in everyday wear, and can’t help but swoon over the sophisticated style it brings in a bridesmaid gown. Stunning two-piece sets allow your bridesmaids to mix and match their looks to your theme. This choice adds a playful side to your bridal party and is suited to a summer wedding. Tie, cap and flared sleeves are all taking the wedding fashion scene by storm with their cute and playful appearances. Whether it’s dramatic flair or a statement you’re after, you are sure to find a creative sleeve style to suit your theme and bridal party look. 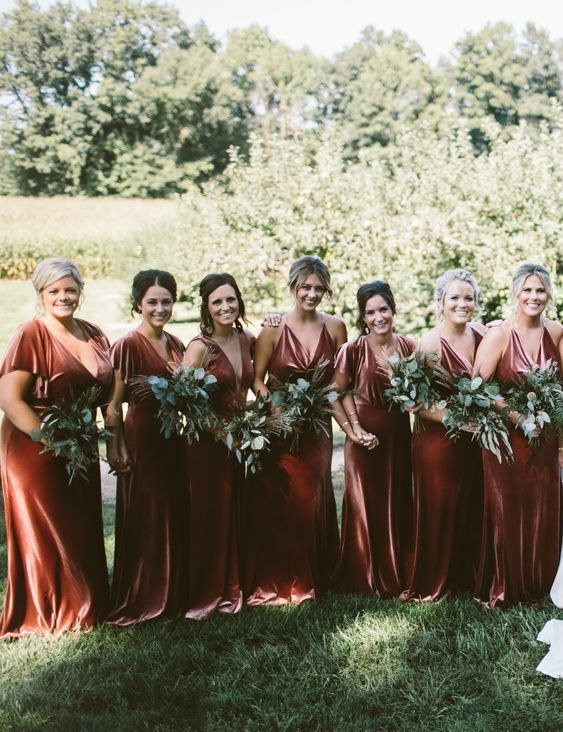 Velvet fabric creates a subtle sultry aesthtic that, when paired with jewel tones, lets your bridal party flourish like royalty. 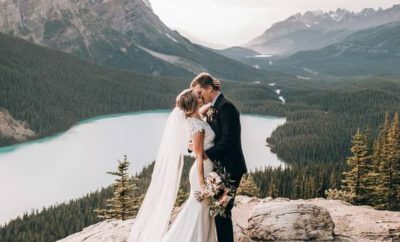 The royal weddings of 2018 have set the standard for wedding trends this 2019. Rich and textured shades of emerald green, mustard yellow and ruby red are major statements this season. 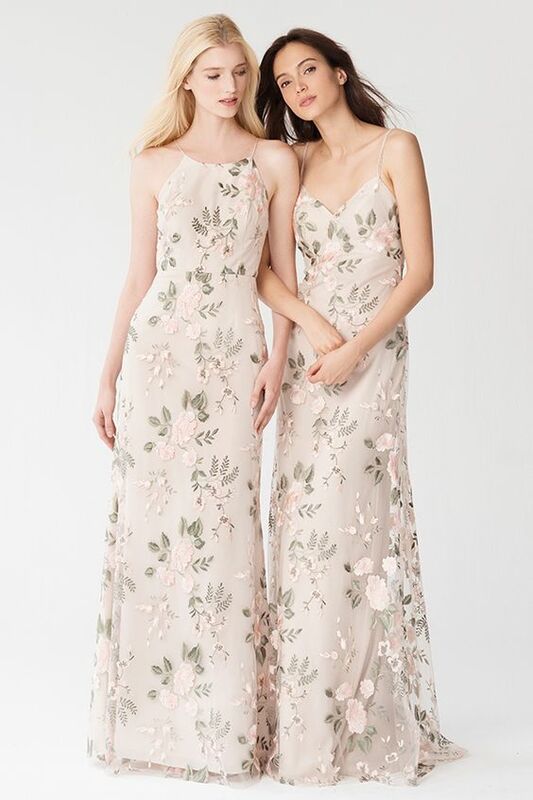 Sheer overlays flowing to the floor give your bridesmaid dresses an air of romance and grace that is both feminine and flattering. Classic and elegant, the wrap dress is a suitable option for all of your bridesmaids. If you’re planning your wedding for the spring of 2019, this look will fit your bridal party perfectly. Short and tea-length dresses detailed with tulle and pleated skirts create a fun and playful look that is also chic and reminiscent of ’50s styles. The reincorporation of various textures into fashion has led to styles like embroidery being brought back in new and creative ways. 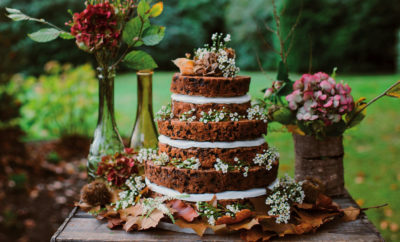 Let this age-old method take over your bridal party look in a gorgeous update that is modern and elegant. 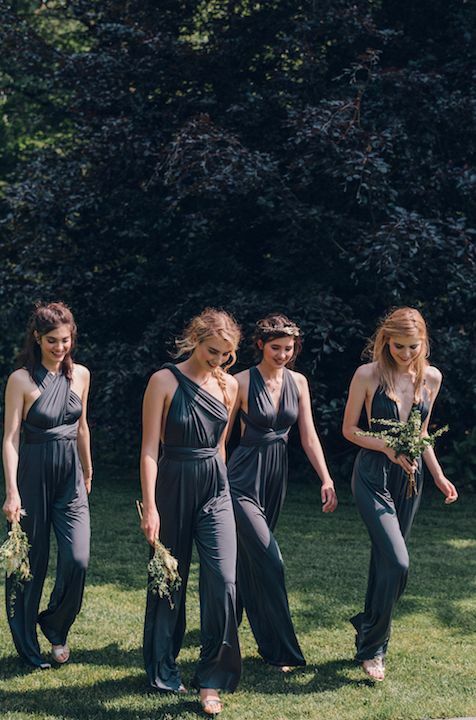 Some bridesmaids will be skipping the dresses altogether in favour of sophisticated and modern jumpsuit styles. They’re comfortable, fashion-savvy and your bridal party can wear them past your wedding day. ← Previous Story Which one of these DIY seating charts is perfect for you?